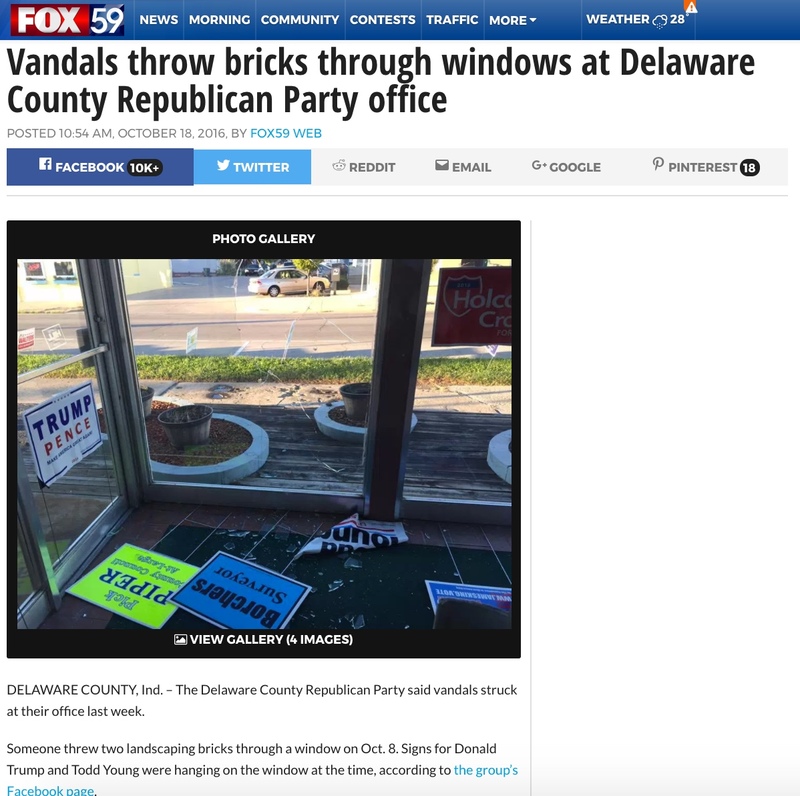 The Delaware County Republican Party said vandals struck at their office last week. Someone threw two landscaping bricks through a window on October 8th, 2016. 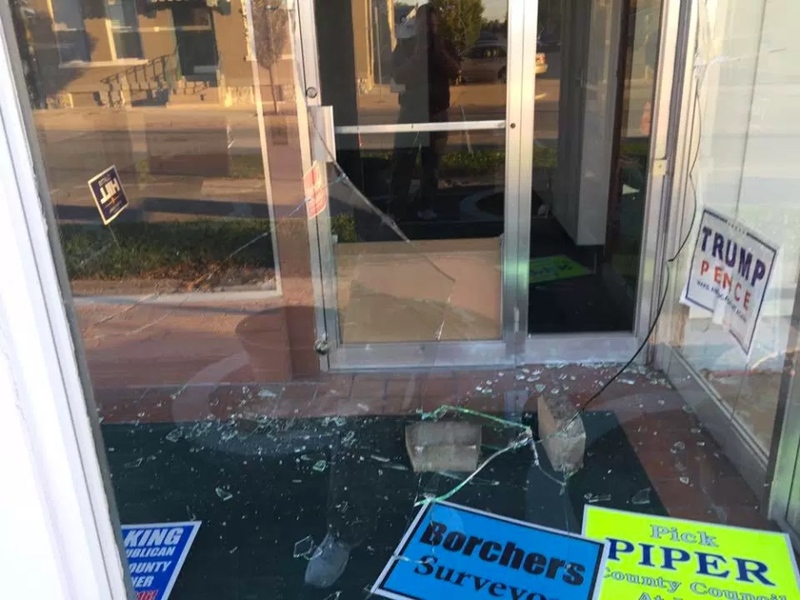 Signs for Donald Trump and Todd Young were hanging on the window at the time, according to the group’s Facebook page.